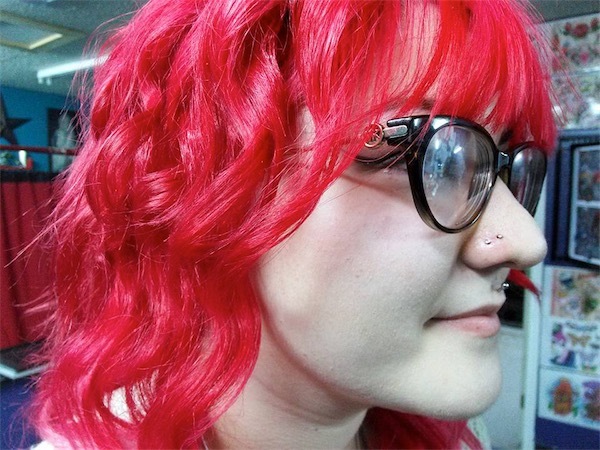 For this month’s segment of inside the head of a piercer, we are featuring Julie Ann West. 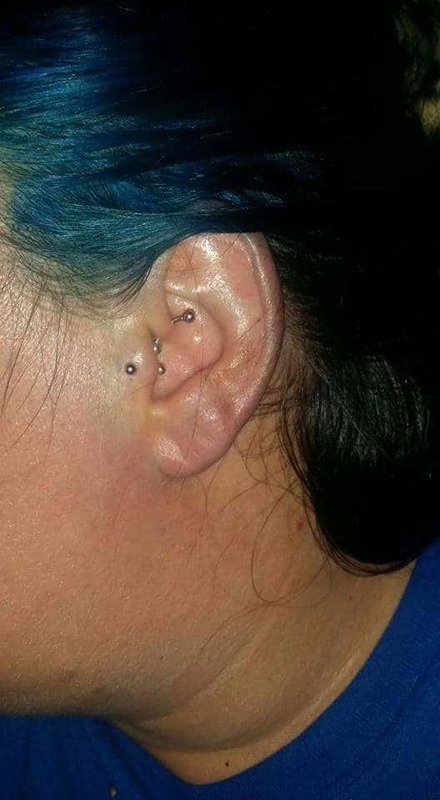 Julie West is currently the Head Piercer at Madd Monkey Tattoo Studio, located in Freeport, Texas. She is 37 years young and married to the Love of Her Life. They reside in Freeport, Texas with 2 beautiful daughters and 4 German Shepherds! Her hobbies include: skating (retired roller derby), going to the beach weekly, crabbing, and spending as much time with her family as possible. 1. When did you love for piercings and tattoos start? My love for piercings & tattoos stemmed from National Geographic Magazines when I was 3 years old. I remember thinking how Beautiful and Unique the Tribal people were. 2. Where did you learn how to be a professional piercer? I learned how to pierce, here at our current shop, Madd Monkey. Apprenticed by my Husband Mr. Matthew West and the Shop Owner Mr. Robert Garcia. 3. What is your favorite piercing? My current Favorite Piercing is the Double Nose Piercing. 4. What is your favorite tattoo? My favorite tattoo on myself is my Anatomically correct Hearts pinned and stitched together on my Sternum. 5. When and why did you start specializing in migraine piercings? I began specializing in Migraine Piercings in August 2015, due to so many clients having consistent pain. I learned Pressure Point Therapy in college. A fellow student fainted and our Professor revived her utilizing pressure point therapy. He then gave us the most valuable 30 min bonus education on Migraine Pressure Points. 6. How do migraine piercings work? I prefer my Clients to come in while they are in pain. I utilize pressure point therapy to pinpoint where their migraine is; frontal lobe, temporal, back of neck, etc. Then I apply pressure to ensure the piercing will provide complete relief. I suggest a single migraine piercing at a time. 7. What are the best migraine pressure piercings? So far the best Migraine piercing is the Tragus. I’m able to apply pressure throughout the entire head & neck with this particular piercing. 8. What is your goal for 2016? My goal for 2016 is to become more efficient and educated as a Piercer. I’m very excited about some custom piercings in the future. Also, currently testing my grit to see if I can become a Tattooist this year. Thank you, Julie, for your valuable insights. Follow Julie her on Instagram and Facebook. If you have any questions on Migraine Pressure Relief Piercing for Julie (or Matthew) then please leave them in the comments!